So far, I have only eaten avocados in salads and dips and very recently as a snack in the form of a fritter. I was surprised at how good these Baked Avocado Fritters tasted. They were crunchy on the outside and creamy on the inside. Definitely worth a try! In fact, I do need to make some more soon as Ro-Ri San has requested for them again. Of late though, I have been seeing avocados in ice creams and smoothies and I wondered about the taste. I do like the beautiful yellow green color and they are appear to have a very smooth texture but would they be too creamy? I guess there is only one way to find out. Since there is still plenty of avocados out there at very reasonable prices, it is time for me to satisfy my curiosity and wonder no more. I was still unsure about the creaminess of the avocados. Perhaps it needed to be combined with something else apart from lemon juice which helps prevent discoloration. I opened the refrigerator and spied the lone cucumber in the crisper. Bingo! It’s green! It’s light! I think it will combine well with the avocado. I could not be happier with my choice. The 2 tablespoons of lemon juice I initially added was insufficient. I could not taste much of it at all and so I stirred in another 2 more tablespoons. It tasted much better this time as there is now a hint of tanginess. It also helped to cut down on some of the creaminess from the avocado. You can actually add a little more if you prefer. 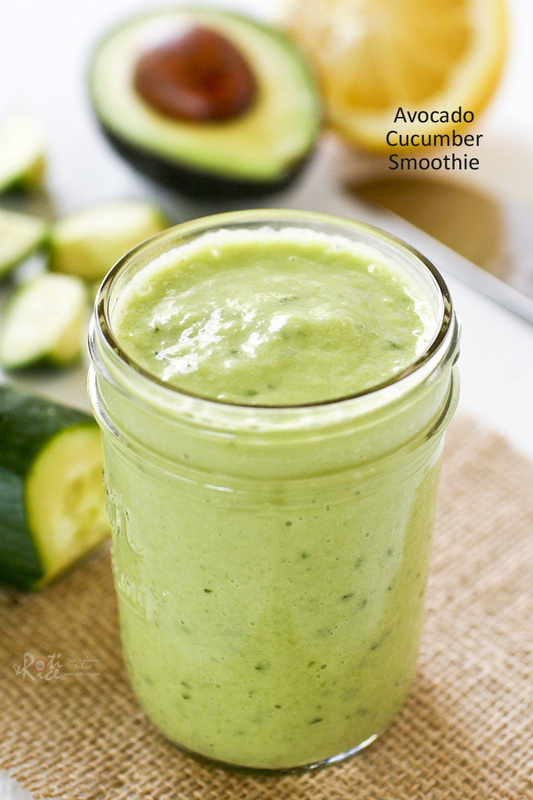 I have made this Avocado Cucumber Smoothie twice and have really enjoyed its clean cool taste. I hope you will give it a try. 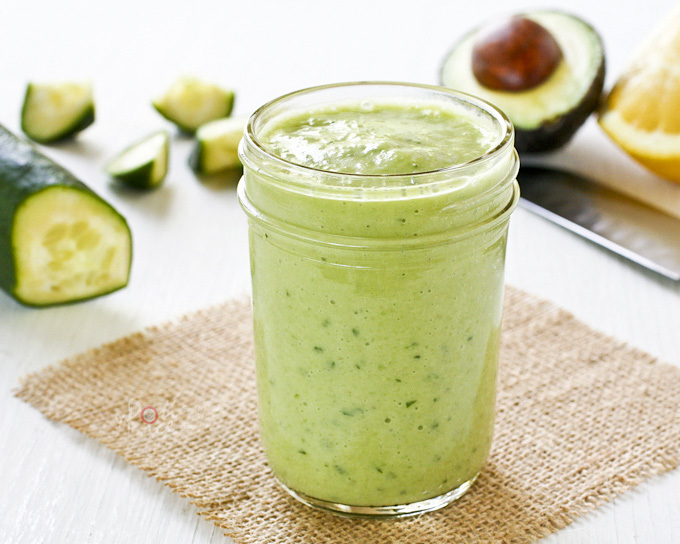 Nothing beats this refreshingly cool Avocado Cucumber Smoothie on a hot summer's day. It is totally satisfying for breakfast yet light enough for a snack. 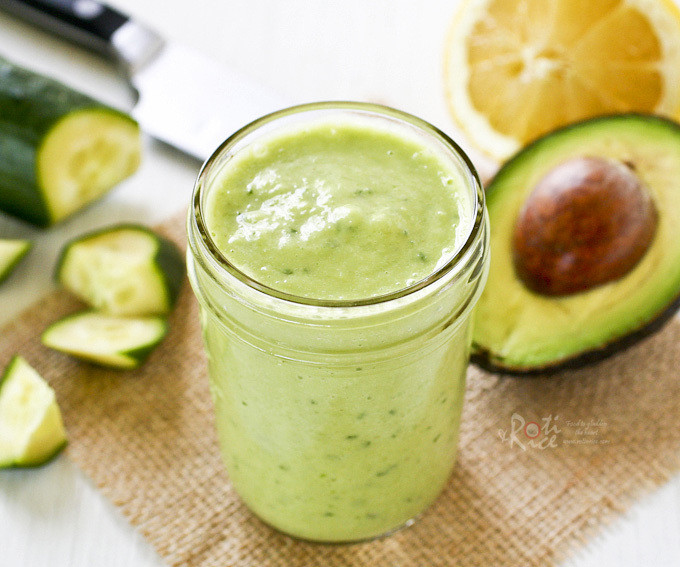 Combine avocado, cucumber, lemon juice, and almond milk in a blender. Blend until smooth. Remove and serve immediately. Thanks Ramona! You do the same. I am trying not to buy a bunch of things that we may not use for anything else. What can I substitute for the almond milk? I would suggest soy, coconut, or flax milk. The reason I am not suggesting regular cow’s milk is because the lemon juice will cause the milk to curdle. I have large avocados and I use just 1/4 avocado, 1 medium cucumber, and a cup of regular soy milk. It’s under 250 calories! Exactly what I have in my fridge right now. Glad I stumbled upon this! Really nice recipe! I reduced lemon juice a bit and added some fresh parsley which I enjoyed. Thanks!